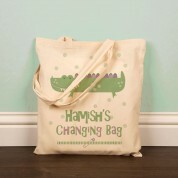 Any new Mum or Mum-to-be will appreciate this practical, personalised cotton changing bag for their baby boy. It comes complete with an adorable design and personalisation. 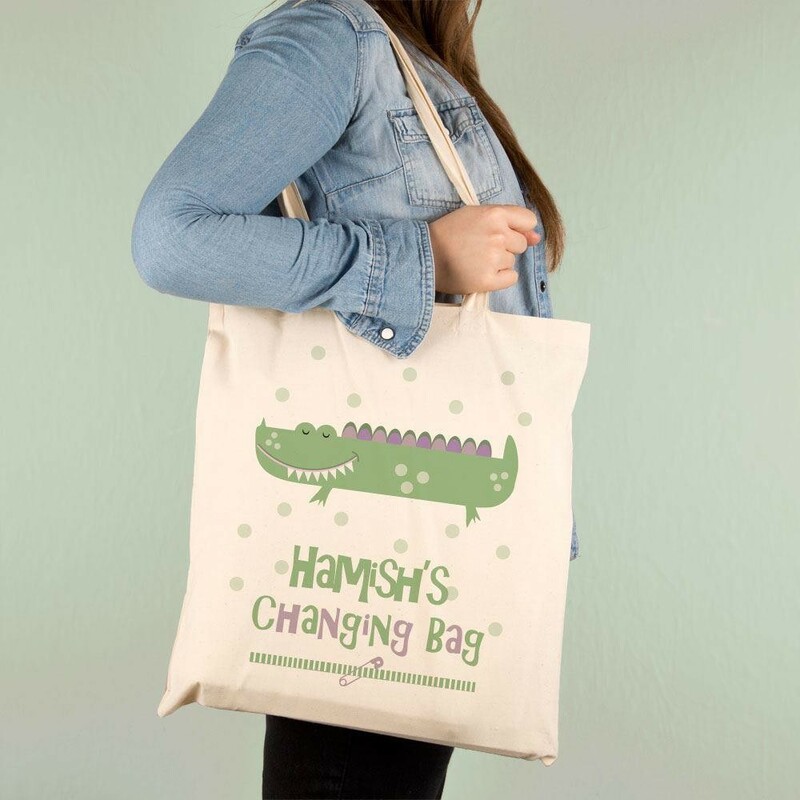 The bag features a polka dot background, with a cute green and purple crocodile. He is giving you a big smile, showing off his very jaggy teeth. Below him reads the baby's name in a green font followed by “changing bag”. A safety pin completes the design. 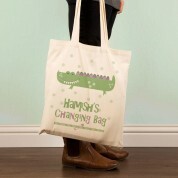 Use it as a stylish alternative for storing changing items and all your baby essentials – don't forget the snacks! The handy cotton tote has mid length straps, making it easy to carry over the shoulder or by hand.